Warfare 3 is a sequel to the outstanding game, Modern Warfare 2. However, the sequel fails to impress me.Modern Warfare 3 is a first person shooter game created by Infinity Ward and is added as an installment to the famous Call of Duty Series. Modern Warfare 3’s game play is amazing but is almost identical to its predecessor Modern Warfare 2. Believe me, the game play is great, but if you have played Modern Warfare 2, it’s not much different. The sequel has barley improved from its classic, Modern Warfare 2. The sequel is playable, but not as innovative as its predecessors were. Unlike Call of Duty 4 or Modern Warfare 2, Modern Warfare 3 had no significant innovations, innovations that signified a great change in game play from its forerunner. Modern Warfare 2 has not taken one leap from its position with Modern Warfare 3. Fallout is back, bringing with it another hopeless, barren wasteland to spend countless hours exploring. Your desperate quest takes place in the west of the country this time as an amnesiatic courier scouring the irradiated Mojave Desert for the man who shot you in the head and left you to rot. It’s still two centuries after a nuclear war between the US and China ruined the entire planet. It’s still a massive, radioactive, and plainly dirt-colored flatland to adventure in. It’s still filled with mutated creatures, savage raider tribes, and laser-happy robots. There are still weapons from the past, present, and future. The retro 50′s theme to the last scraps of civilization is still equal parts humorous and eerie. 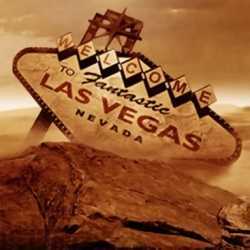 It’s unfortunate, but New Vegas feels identical to its predecessor, right down to the clunky ranged combat and sketchy voice acting. But that’s not necessarily a bad thing. Fallout 3 was a masterpiece, well worthy of its universal acclaim. Despite the awkward shooting and seemingly boring landscape, it offered its players months of incredibly detailed content that always rewarded those fearless travelers that wandered into even the most remote crevices of the wasteland. The story and major characters were memorable, an amazing feat considering the waning attention spans of Generation Y. Enemies were challenging and creative. New Vegas offers several new additions, including more varied stat-buffing items, armor, weapon and ammunition mods, and enemies, as well as two new crafting systems. There are even welcome patches of green vegetation here and there. It you absolutely loved the last Fallout game, there’s no reason you shouldn’t enjoy this one. One of the most anticipated games of 2010 has finally arrived. Halo: Reach isn’t just the next big shooter, it’s the closing of an era in console gaming. Ever since Master Chief first leapt into the spotlight with the promise of securing FPS dominance outside of PC games, the entire Halo franchise has been stamped on countless shirts, mugs, novels, and commercials over the past decade. For every one thousand fans Bungie was able to recruit, ten thousand flimsy imitations of their games were churned out by other developers clamoring to get a piece of the frenzy. The Chief’s helmet has become a recognizable icon for even the most casual gamer. Everyone’s been wondering how well Bungie’s swan song will stand up to its massive legacy. Well, there’s good news and bad news. The campaign is every bit as beautiful and action-packed as you’ve come to expect from the franchise, but it has no patience for new players. If you haven’t played any of the past games and read at least one of the novels, you’ll completely lose the plot (a prequel to the first Halo) in a matter of minutes, in addition to being crushed under the game’s increased difficulty level. A quick introduction: the fall of humanity’s colony on Reach is the single most catastrophic tragedy in the franchise’s lore. It was a military fortress containing over 700 million people, as well as the training grounds for Master Chief and his SPARTAN-II super soldier pals. The SPARTAN-III’s are cheap knockoffs of them, weaker but infinitely more expendable. That’s what you’ll be playing as, once again a personality-lacking rookie joining a veteran squad of specialists, a reference to Halo ODST. 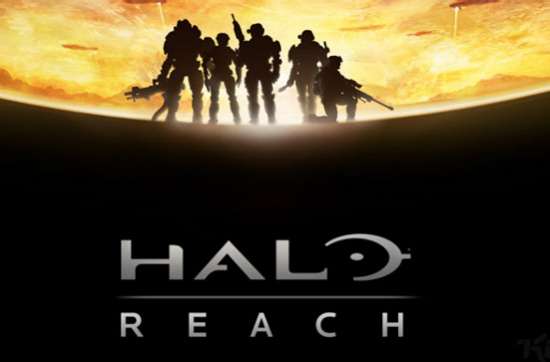 Although the destruction of the planet has been stressed throughout the books and even in advertisements for the game, Reach‘s focus is almost entirely on your small group. There are really only a few levels in the game that give you a glimpse of greater battles going on outside your unit’s concern. While this does give you a chance to feel closer to your teammates, who are thankfully much more memorable than those in ODST, the sense of the epic scale that Reach’s destruction deserved is lost. Just as it was in the last installment, you’re not trying to save the universe or single-handedly tackle an army of impossible numbers. You’re a small team of soldiers trying to get a job done and survive in the process. And though the pulse-pounding climax feels significant and seals the Halo series in a complete and emotionally-satisfying conclusion, you’ll still have a Master Chief-sized hole in your heart. But there is good news. Bungie has once again found a way to improve their already enviable gameplay on all fronts. The graphics have never been more crisp and refined. The dark and foreboding soundtrack is as masterful as ever, matching the desperate mood of the game perfectly. You, alongside your team, will once again be taking on the evil Covenant juggernaut, be it in the form of clusters of deadly Elites, columns of armored Wraith tanks, or screaming Banshee flyers. But there are several twists. New weapons, vehicles, and enemies make their debuts without feeling an inch out of place, making this Halo arsenal the largest yet. The traditional shooter formula is occasionally remixed with impressive and exciting aerial combat missions both in the expanses of space and over ruined cityscapes. The risky addition of the new armor abilities pays off, completely revitalizing infantry battles as snipers fly to impossible vantage points with jetpacks and quick-witted strategists fool enemies via clever use of hologram doppelgangers. Revamped computer AI results in allied marines concentrating fire and generally being useful, while making even the lowliest alien grunts a threat with the inclusion of intelligent flanking tactics. Bigger enemies anticipating your melee swings will often dodge and counter them. Reach‘s frenzied skirmishes will pleasingly keep you on your toes. This may arguably be the ultimate Halo experience. 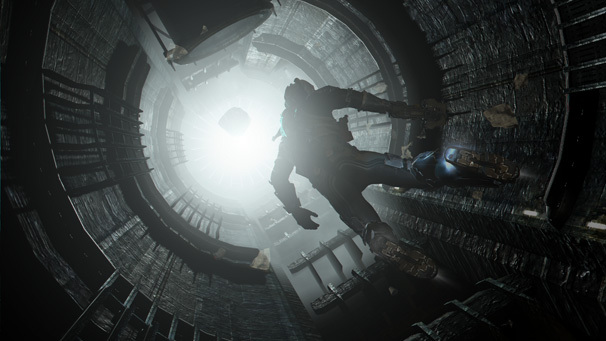 Reach‘s multiplayer has also greatly surpassed its predecessors. Halo 3 provided a massive array of gametypes and customization options, and this latest installment has only added to it. Unprecedented playstyles such as Infection return with added variations you’re free to tinker with, while entirely new modes like Race make their hilariously fun premiere. The ability to tweak the already intense Firefight matches removes them of their tinge of monotony present in ODST. Although the nine starting maps may feel slightly constricting, the inevitable map packs and unbelievable freedom and ease of the reworked Forge mode will ensure your addiction to Reach‘s online games takes a very long time to wane. Halo: Reach is an outstanding game. For all you fanatics of the Halo universe, this is a must-buy, but you especially will find that the slightly disappointing plot mars the exhilarating and immensely enjoyable campaign mode. No one, however, is going to be dissatisfied with Reach‘s expansive and infinitely fun multiplayer experience. Get it now if you’re looking for an remarkably entertaining sci-fi romp with enough guns, lasers, and explosions to shame Michael Bay, but don’t depend on the story living entirely up to your expectations. Being the latest installment in the famous Halo franchise, Halo 3:ODST is easily one of the most advertised and anticipated titles out right now. The series’ developers at Bungie Studios set the standard for console-based shooters with the original Halo back in 2001, and have continued to raise the bar with each new addition. So, how do you stay on top with only an expansion to the final game in the trilogy, released over two years ago? If it’s Bungie, it can be done easily. Bungie, known to be impressively attuned to the needs of its fan community, knew exactly how to produce a gaming experience that turned Halo on its ear while making seasoned players feel right at home. To start off, you are no longer the unstoppable 7-foot super soldier known as Master Chief we’ve all come to know and love as Halo’s main protagonist. Instead, you play as one of the many Orbital Drop Shock Troopers, tough-as-nails specialists you’ve come across in past games. Think of them as modern-day Green Berets or Navy SEALs, but from space. While able to handle themselves in a fight, the ODSTs can’t run as fast, jump as high, or hit as hard as good ol’ Chief can. Nor can they dual-wield or control weapon recoil as easily. Smaller enemies that used to cower and flee from your onslaught now tower over you. To make matters worse, your shields and motion tracker are gone, and the only way to heal a wound is by locating one of the medical kits sparsely scattered throughout a level. All this forces you to do things never before considered in a Halo game: planning an attack out, conserving ammo, and avoiding fights altogether. Attempt to charge headfirst into a fight like what the Chief made possible and expect a swift return to your last checkpoint. But it’s not all bad. You’ll find yourself equipped with silenced versions of the reliable magnum pistol and submachine gun weapons, along with the VISR tool, a HUD overlay that illuminates dark environments and highlights allies, enemies, and objects of strategic significance. These new drawbacks and abilities transform combat from the usual intense blast-fests into dangerous and surgical strikes that require quick thinking and excellent cover. Second only to gameplay in a Halo campaign is its presentation. Taking place on Earth immediately after the events in the beginning of Halo 2, ODST has you dropping from orbit into the metropolitan city of New Mombasa, now occupied by the myriad aliens of the nefarious Covenant faction. After being knocked out in a crash landing, you awaken six hours later in the heart of the city. It’s the dead of night, and the city has been completely abandoned. Moody piano and saxophone tunes perfect the lonely atmosphere as you skulk past the burnt-out husks of cars in the dark, rain-soaked streets, looking for clues as to what happened to the rest of your squad. The iconic fanfare of Halo‘s original theme is missing, but since the game feels more like a noir detective film than the epic, universe-saving adventures of past games, it probably wouldn’t fit. As you find clues left behind by your squad mates, you’ll enter playable flashbacks, which feature more of the action-packed battles the franchise is known for. Voice acting is top-notch, featuring talent from many popular movies and television shows, including the Firefly and Battlestar: Galactica series. Though the campaign will feel short to most veteran Halo fans, finishing in only about 6 hours if you rush, it still ends with the satisfaction of a well-written film. Last but certainly not least is the new Firefight multiplayer mode, which will have you and up to three teammates battling endless waves of baddies to see who can rack up the most points. Every five reinforcement waves of enemies complete a set, three sets complete a round. Each new round activates one of Halo‘s classic Skull difficulty multipliers, forcing you to adapt your strategies with every success. It’s an extremely fun addition that tops both Gears of War 2‘s Horde and Call of Duty‘s Zombie modes, but a lack of matchmaking support means that unless you have friends on Xbox LIVE, you’ll be playing it alone. All in all, ODST is yet another memorable addition to the lengthening Halo series. Bungie’s latest work manages to reinvent the game while still keeping up with franchise’s increasingly high standards. However, it is a fan service through and through. If you’re new to the Halo universe, you’ll find the many references to the history and lore both confusing and excluding. In fact, if you don’t already own Halo 3 and have a subscription to Xbox LIVE, half of what is in the $60 box, the complete Halo 3 multiplayer map collection is completely worthless. So, should you buy it? If you’re a fan of the series or genre, you should have bought the game and played through it twice already. If not, I recommend saving your cash for a full installment in a series more to your liking.